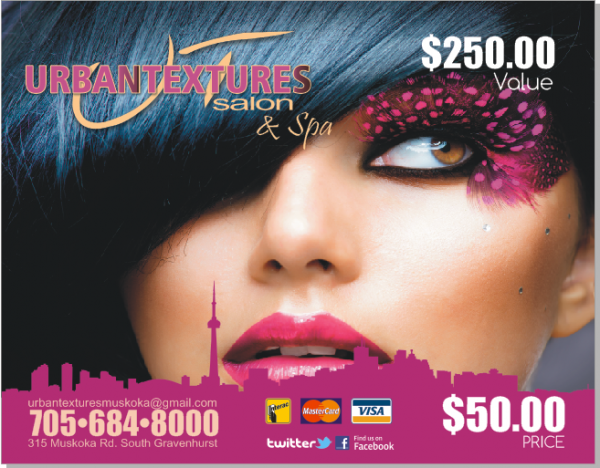 Jennifer Marrett; Owner of Urban Textures here in Muskoka came to us looking for some Graphic Design for Print materials that had a big city flair to them. Keeping within the branding of the logo we think we nailed it! We also printed these projects.